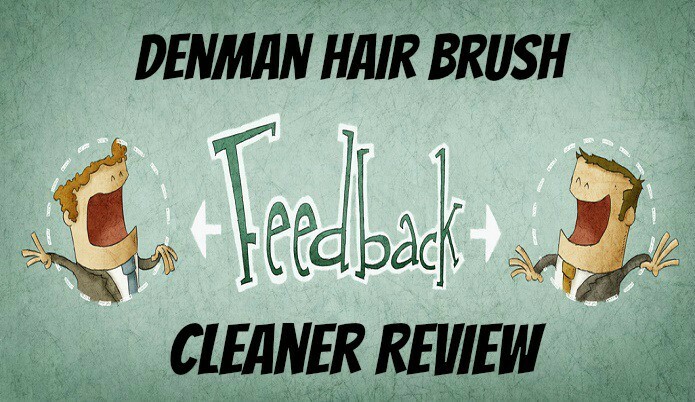 In this post I’ll be giving you my review of the hair brush cleaner from Denman. To start I would have never guessed this would have ever been an issue (cleaning hair from a brush) when I had shorter hair because well I had shorter hair and there was not much to clean out. To be honest if there was a lot of stuff to clean out of my brushes I probably would have just thrown the brushes out and got a new one considering how much of a pain I realize the cleaning process can be and the fact that I was buying these cheapo brushes which luckily I moved away from! After growing my hair out I quickly realized that I would need to do a little bit of upkeep to keep my brush working in the same condition as when I got it. Manually picking out hairs is the most boring thing I can possibly imagine and I tried about every possible way from doing it that way like just spraying it with the kitchen water nozzle thing to holding it in front of a fan hoping the hairs would blow out. Needless to say my tactics did not work and some made things worse for me. Well that is the backstory on why I started looking for a brush cleaner and I was lucky enough to find one that works great on my first buy. 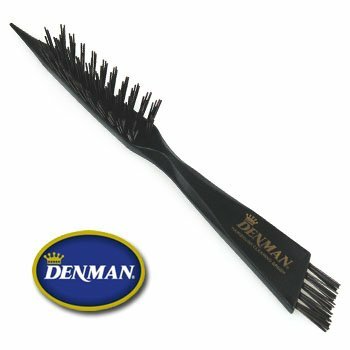 So let’s get into some more details of the denman hair brush cleaner. I’ll go over the points mentioned above a little bit. The price speaks for itself especially since there should be no reason to have to replace it unless you just lose it or physically do something to break it. I like the multi-use type cleaning it provides with the different sizes of the brush ends and the pointed in for grabbing hairs out. This saves me a lot of time and room with only needing to have 1 tool. Less is more in my small bathroom! Something I didn’t think of was damaging my brush with the cleaning tool but knowing that Denman took this into consideration when creating this product at least puts my mind at ease considering I started to buy higher quality brushes. This wouldn’t do me much good if I was having a hard time cleaning it. All I would really be doing is transferring one problem over to another but luckily this wasn’t the case. 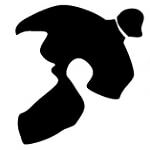 Took me a minute to figure out which cleaning heads was meant for which parts of the brush but was pretty straight forward after messing with it for a few minutes. Only thing I can think of that might be an issue is that if you don’t like shopping online because you may not be able to find this in stores (not 100% sure). Overall this is a great product that does exactly what it’s meant to do so the Denman hair brush cleaner defiantly gets my nod of approval!